Morning. Not only did I make it into the office for every one of the five working days in this week (and on time or early I might add), but I also got up before 9am today! And it’s not even a knitting thing! To be honest it’s more to do with the heat here at the moment. It is so hot I’m not sure I can stand it. Obviously, feeling heat is a subjective thing…it’s not desert hot of course…but it’s a lot warmer than it has been here for a while. And the tablets don’t help, with the hot flushes (yesterday I almost fainted three times) and bouts of serious perspiration. Anyway, today won’t be a wordy one, as I’m finally on the home computer with time to spare, and have all those photos I’ve been promising to hand. Okay, when I say ‘all’ the photos, I obviously mean the few I’ve managed to take…which came out okay. 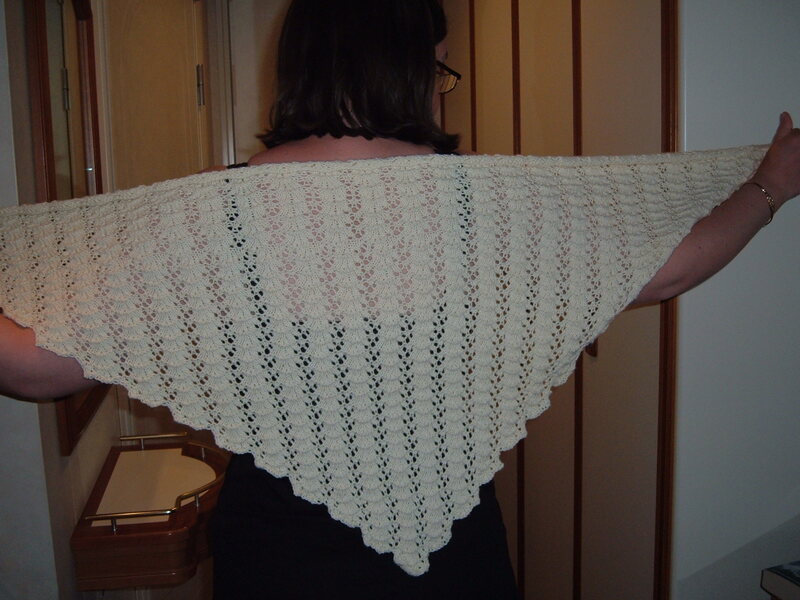 My pretty shawl, finished just in time, and worn several times including ‘formal night’. The view from our window. 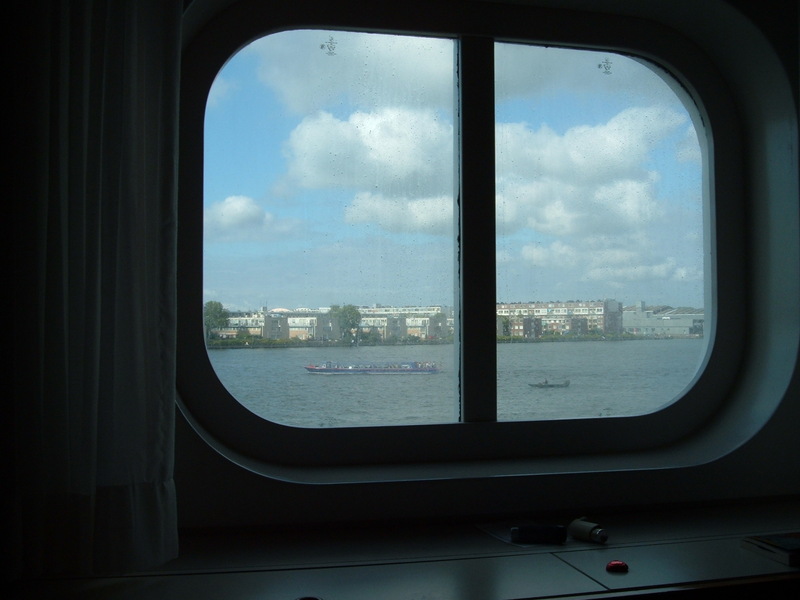 Did I mention the free upgrade to a room with a window? 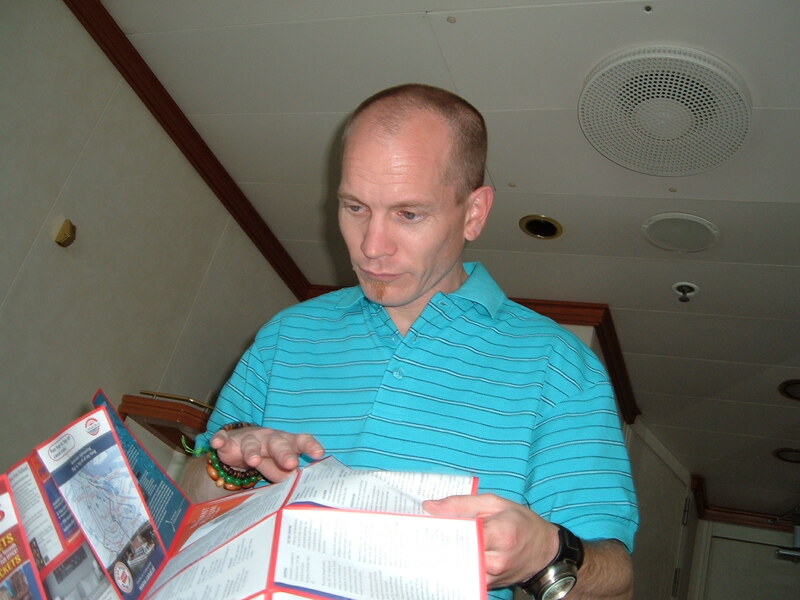 A pretends he can read a map. 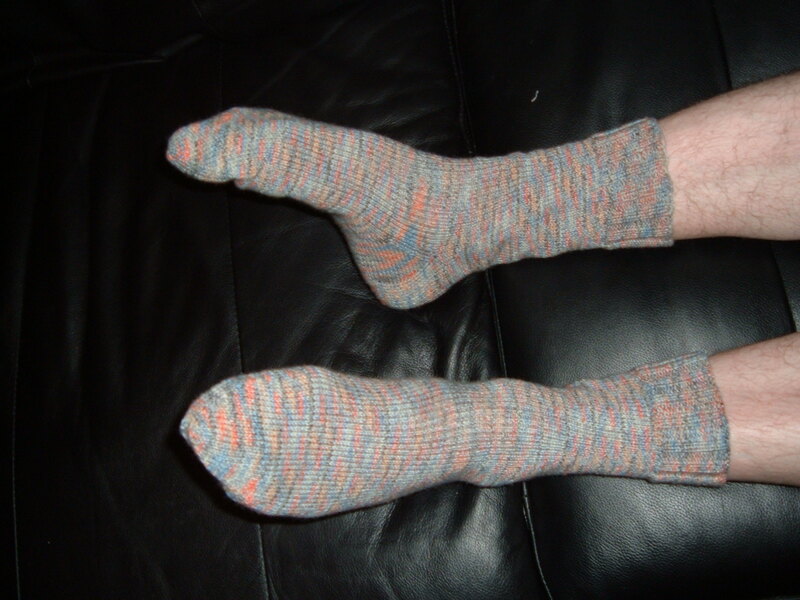 My first ever complete pair of socks! Modelled by A, who they are for. Note the hairy legs…I may be lazy about shaving them sometimes, but my legs just aren’t that hairy! 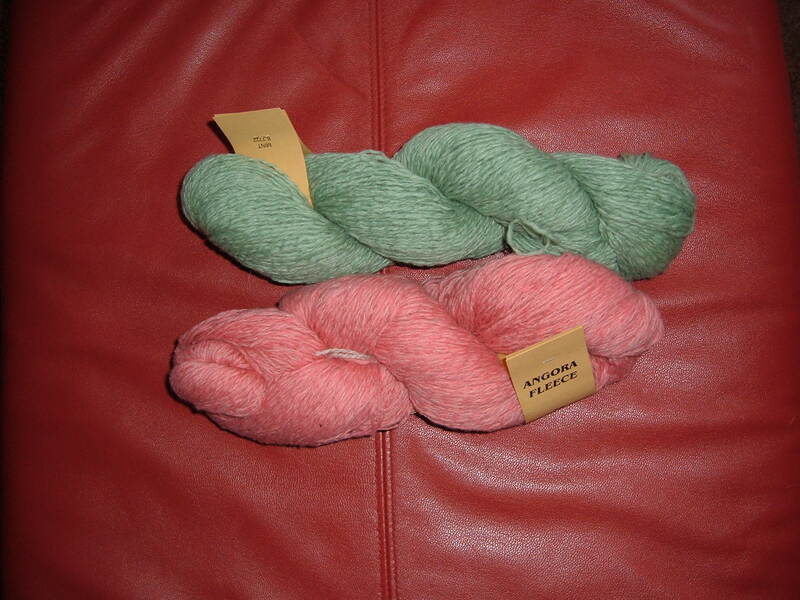 Lovely new yarn from Denmark. Oh, what to make, what to make? 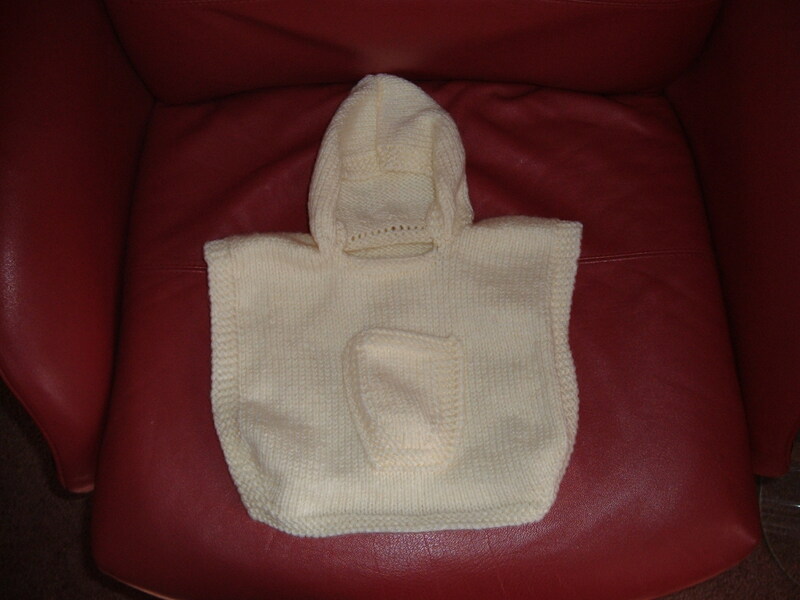 The little tiny poncho I made for one of the latest arrivals (Lili). 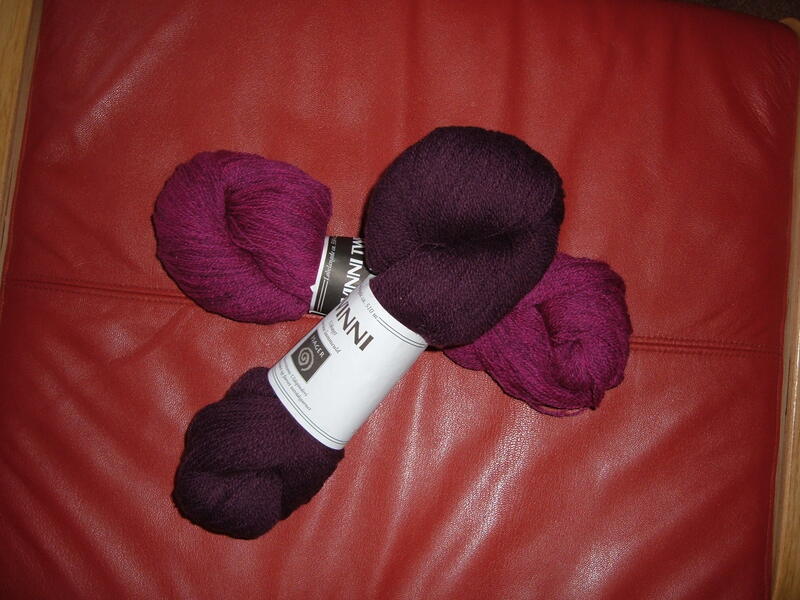 My newest project – socks for me. 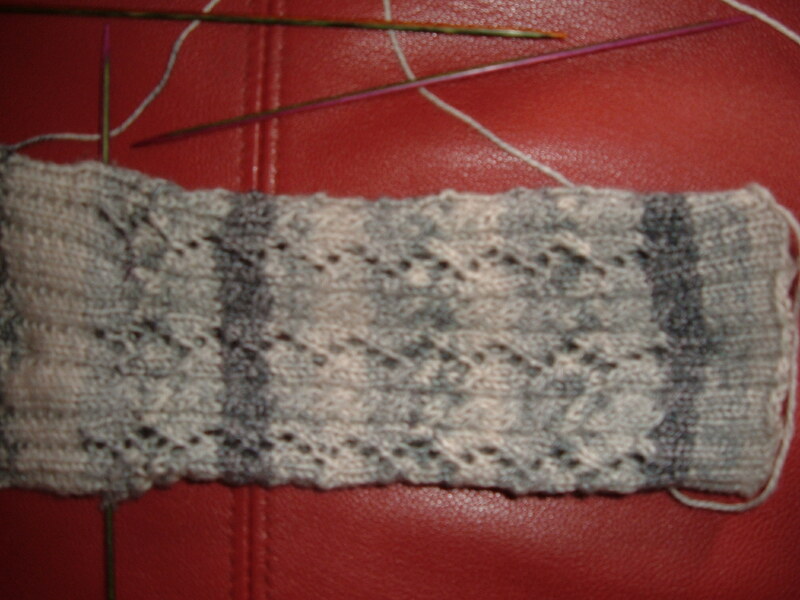 The pattern doesn’t show up too well in the pictures, but it’s a combination of cabling and lace and looks good. I can’t decide at the moment whether I’ve made it big enough, but can’t quite make up my mind to frog it and start again…just a few more rows and I’ll decide. 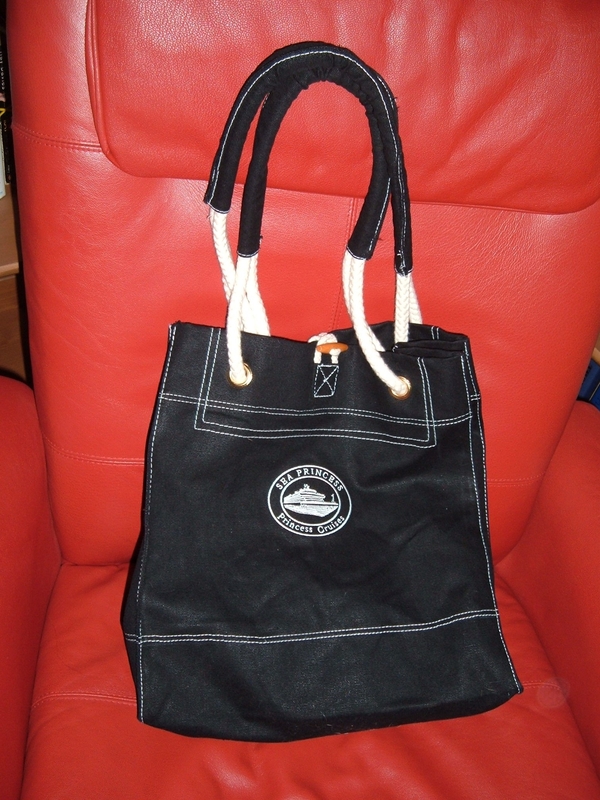 It’s sturdy and strong, small enough to carry comfortably without feeling like I’ve got my life with me at all times, good handles for carrying on the shoulder or by hand, and big enough to carry one or two projects and anything else I need such as purse, keys etc. The only further thing I might wish for is a smaller pocket inside. Apart from that, I love it! Okay, after that picture overload, I’d better get on with the weekend’s housework. 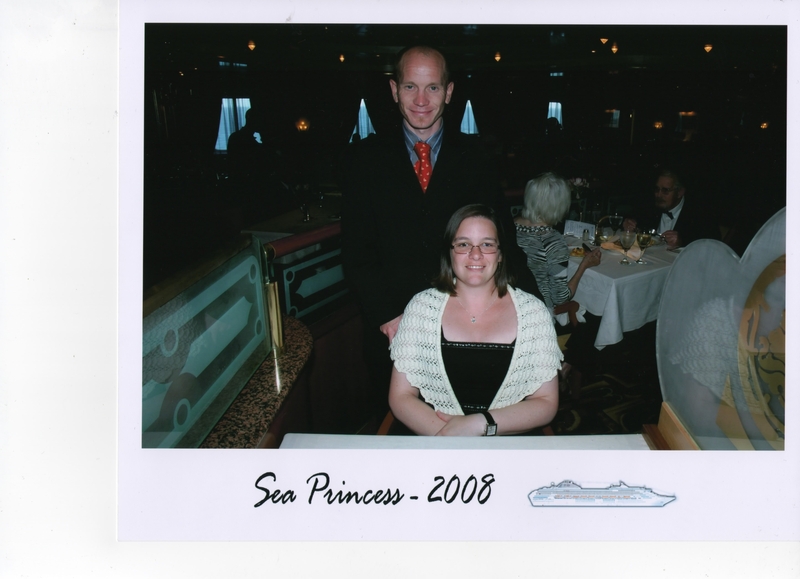 This entry was posted on July 26, 2008 at 10:49 am and is filed under Baby, Health, Holiday, knitting. You can follow any responses to this entry through the RSS 2.0 feed. You can leave a response, or trackback from your own site.